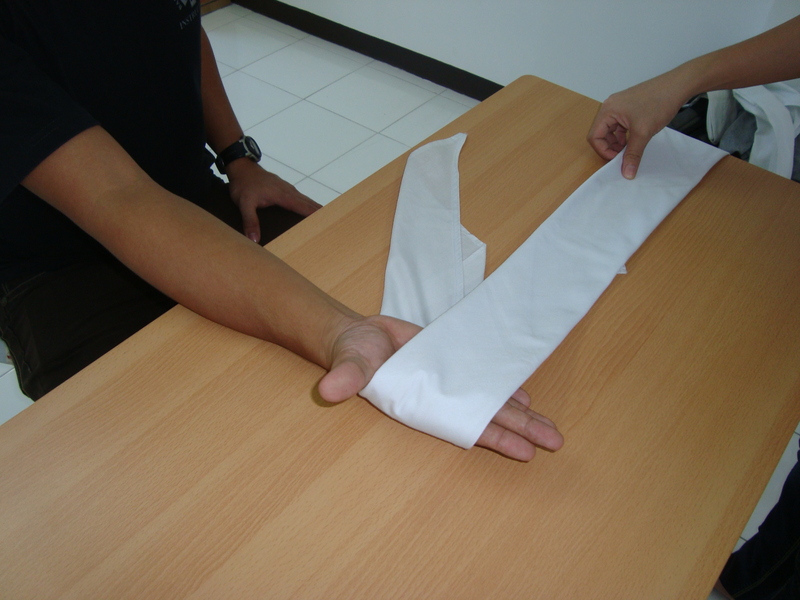 The Open Palm bandage application is applied when the injury on the palm is in vertical or diagonal position. 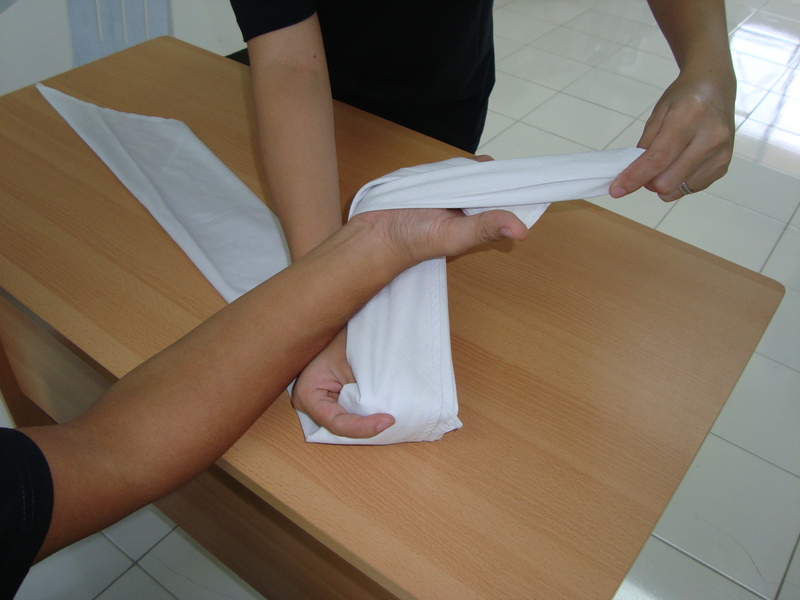 It follows that closing the hand or fist will create more opening of the wound and this is the reason why the hand is kept open while the bandage is applied. 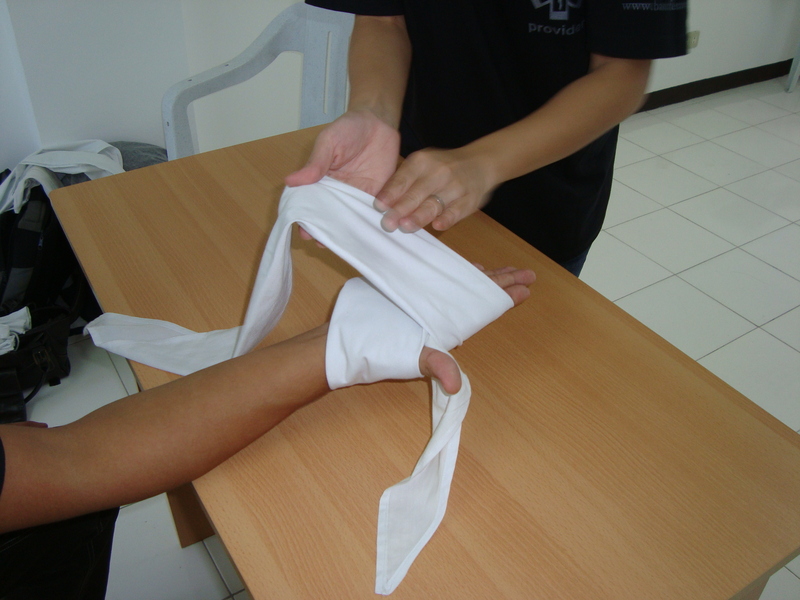 Please be reminded that the illustration below shows the steps on the bandaging only. 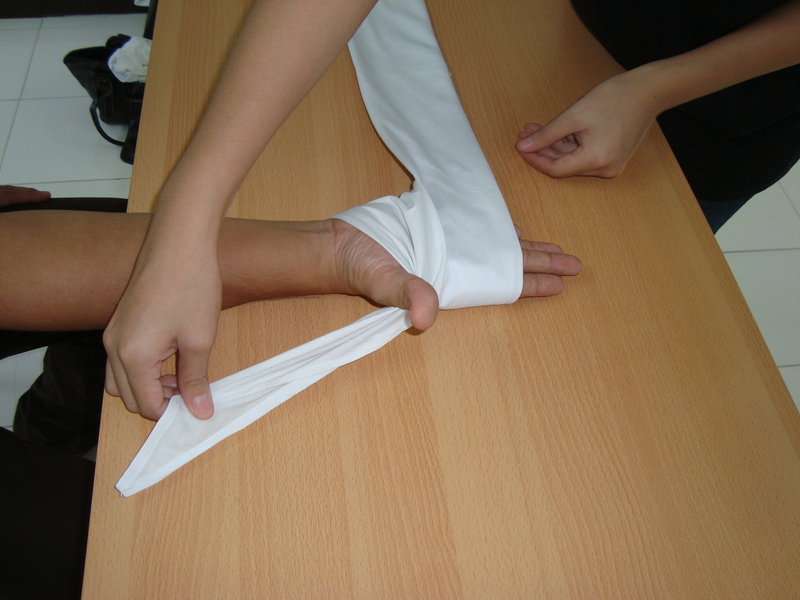 A dressing should be applied first before the bandage. 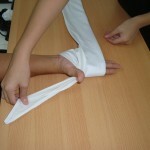 The first step is to place the one fourth portion of the bandage on the palm (figure 1). 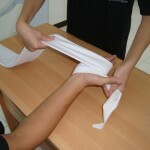 Grab the one fourth portion of the bandage and bring it on the back of the hand (figure 2). 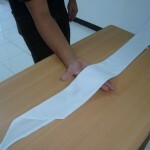 Bring the one fourth portion of the bandage toward the thumb side and anchor it on the joint of the thumb (figure 3). This will serve as our temporary lock as we move the running end (the opposite end 3/4 of the bandage). 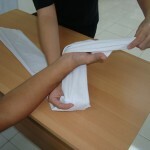 Now that you have lifted the running end and covered the one fourth side, you can then maneuver the running end as it creates a temporary hold of the whole bandage (figure 5). 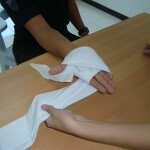 Move the running end of the bandage towards the thumb (figure 6). Bring the running end toward the palm. 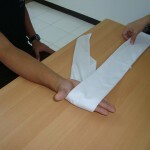 The bandage should cross over the palm area and bring the point towards the little finger (figure 7). From the little finger, bring the running end to the back of the hand and head towards the index finger (figure 8). From the index finger cross the running end again toward the palm and bring the point towards the wrist area of the hand (figure 9). As you can see by now, the bandage on the palm area is forming a figure of eight (figure 10). Bring the running end again toward the wrist and cross towards the palm bringing the point toward the little finger. Continue the whole process of figure of eight movement until the running end becomes short. 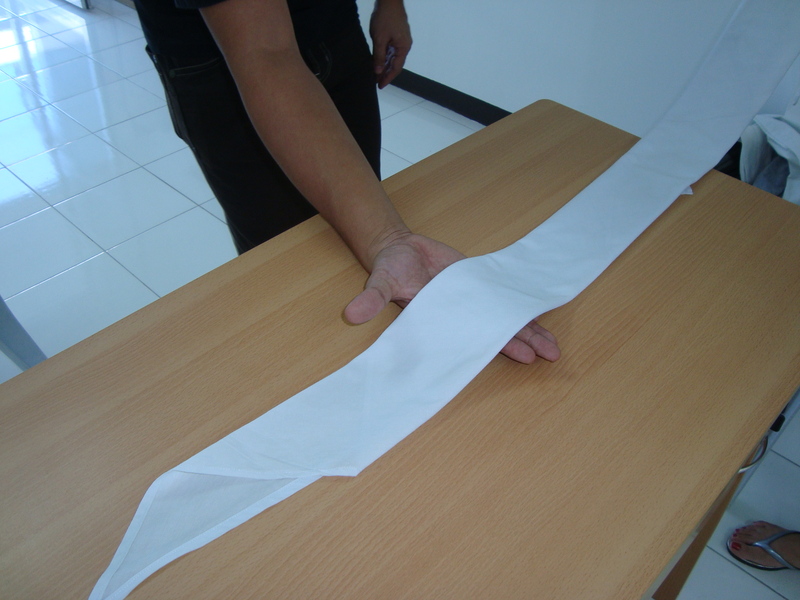 Once the running end is short enough, grab the one fourth side end point and make a square knot with the running end (figure 11).